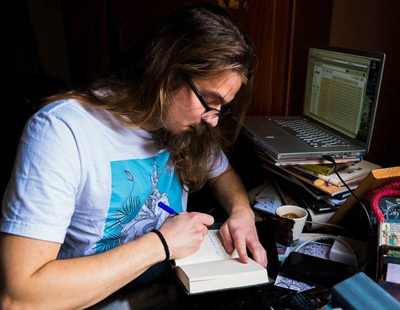 Teodor Reljic is becoming a well known name in the cultural and literary scene. He has been working with MaltaToday as Culture Editor and as an independent film critic since 2010. That was the year he graduated with a Master’s in Modern and Contemporary English Literature and Criticism from the University of Malta. He also co-edits ‘Schlock magazine’, which is an online magazine covering fiction, illustration and discussion, all of which are tied together by the element of ‘weirdness’. Charlene Schembri spoke to Teodor about his debut novel, ‘Two’ and his career so far; here is what we found out. Q.‘Two’ feels like a very personal book in many ways – perhaps in the way a lot of first novels tend to be. How much of it would you say is autobiographical? A. Given that I came to Malta from Serbia with my family at the age of seven – much in the same way William comes to Malta, though initially he is just on holiday, at the age of nine, at the start of the book – I would say that there are plenty of ways in which the book draws on my life. However, as these things tend to go, you may start off with an autobiographical detail or two, but then you follow a different path. It’s all part of the creative process in that you’re drawing on something that feels relevant and ‘urgent’ for you, but then you need to a) create a coherent fictional space from that, which you’ll need to sustain; and b) find the thematic and aesthetic threads that interest and excite you enough to keep going. That was the case with me, anyway. There comes a point when the autobiographical details recede into the background – or rather, sink into the foundation of the thing – allowing you to focus on just pulling the thing together. Q. Would you say that using a child as a narrator helps readers reconnect in a sense with the island, having become de-sensitised to its charm by daily life? I wouldn’t say this was my explicit aim, but I suppose it’s nice to think that it can have that effect on readers. Q. Do you think that the fantasy element in ‘Two’ complements the use of Maltese folk tales? And what does that bring to an adult readership? I would say that the folk tales were actually subservient to the fantasy element, in that I wanted to embed – in some ways to ‘hide’ – the Maltese folk tale elements within the overall Vermillion narrative, as opposed to vice-versa. I enjoyed the idea of creating a space – through Elizabeth’s Vermillion stories – that seemed to both echo Malta while at the same time depicting something which seemed to be its opposite: the lush, green landscapes familiar to us through stock fantasy fare like the work of JRR Tolkien and his myriad imitators. Which leads me to your second question: the tension between what is escapist (the Tolkien landscapes) and familiar (the elements taken from Maltese folktales) was what I wanted to play around with; not for its own sake, but to express the way Elizabeth copes with her memories of the central traumatic event that propels the story forward. Q. When you started writing the book, did you have a specific plan of where you wanted it to go and how the plot would materialise? The book started off as a self-contained piece of flash fiction (a very short story of around 500 words) and the main dynamic between the core characters was already in place by that point: the central tragedy – though it was a death, rather than a coma at that point – and the idea of the family being ‘stranded’ in Malta for longer than they had expected. The child narrator was also in place, and the heightened perception of Malta that came along with that. Beyond that, however, I didn’t really have a set plan until I really got going. That may sound strange, but I felt that I could only ‘plan’ the rest of the book once I had some more material down. So I wrote, and wrote (and wrote) more or less blindly for a while, doing my best to ignore those voices in my head which kept saying that I’m just writing crap. Once I had a solid word count down, I could start to marshal things into shape, and that’s where the planning came in. Given that the novel is a parallel narrative – toggling between a ‘real world’ perspective and a fantasy one – this was something of a headache, and something I constantly needed to keep an eye on. Q. What distinguishes your writing from other local authors, and makes it unique? That’s not really for me to say, of course – the readers will have to be the true judges of that. But given my own creative inclinations, it’s fortunate that I don’t seem to be mining the same vein as, say, Alex Vella Gera and GuzeStagno – both authors whose work I like very much – and going for something less socially immediate and more atmospheric. Q. Why did you choose to publish locally in print format, rather than using online media? Well, I’ve been publishing my fiction digitally through Schlock Magazine – an online fiction magazine I co-edit with a group of my friends – so I felt that this was the next step forward. Despite the fact that digital media is becoming our default mode of processing things, I still think that being published in print remains an important milestone in a writer’s career. The fact that Merlin Publishers were very supportive of my project from the beginning – even when the novel was in its earliest stages – was also of great help. Q. Can you tell us a bit about other creative and writing projects which you take part in regularly? As I mentioned above, Schlock Magazine remains a project I’m deeply invested in. In many ways, it’s my “baby” (though not solely mine, I hasten to add!). We publish fiction, poetry, illustration, interviews and pop culture reviews. The magazine has been growing from strength to strength over the past five years since it first went live, and I’m very proud of the fact that we’ve managed to make it a very international and dynamic publication. In a lot of ways I also owe the publication of ‘Two’ to Schlock: I first got talking with Merlin’s Director of Publishing Chris Gruppetta about the novel as we were figuring out ways of how Merlin and Schlock could collaborate. Now that the novel is done and dusted, I feel drawn to collaborative projects, because writing a novel gets very lonely and the pressure is all on you, so bouncing off ideas with someone else feels refreshing. I’m one of the partners of Creative Island, a production company of my friend Nicole Cuschieri, which organises events like the now-regular Burlesque shows on the island. We have some exciting events in the pipeline for the rest of 2014, one of them being a play (once again, inspired by a folk tale!) which I will be adapting for the stage. Writing a play as opposed to a novel is an interesting challenge, and I’m enjoying the process of ‘unlearning’ certain habits you pick up while writing prose. In the meantime, I’m working on a collaborative short story with a writer from overseas, I’m writing a comic book to be illustrated by a friend of mine, and I’m also helping a local game developer with some story concepts and character designs. It looks like it’s gonna be busy year! Q. What message do you have for bilingual or multilingual individuals who originate from different cultures and sometimes find the different influences conflicting and difficult to engage with? My thing is to not be dogmatic about this. There is no ‘right’ way of dealing with the language issue. But I do understand where you’re coming from, and I have (subconsciously, for the most part) felt a certain degree of inadequacy when thinking of how to process all that. The challenge, actually, is to let go of any self-consciousness or guilt: those nebulous worries about ‘authenticity’ that ultimately lead to nowhere. Ask yourself: what is the language that will serve your story best? Ultimately, it’s the work that matters, and it’s your job to deliver it in the most effective way possible. That’s the only level on which your language of choice should have any bearing. 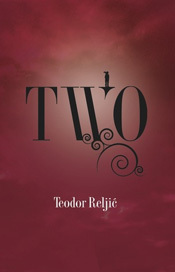 ‘Two’ is published by Merlin Publishers, and is available in all bookshops around Malta and Gozo. To order the book online, log on to: Merlin Publishers. Free delivery to Malta and Gozo. Photo Credits: Courtesy of Jacob Sammut Photography.